The late Ronnie Peterson has been acknowledged as one of the fastest Grand Prix drivers of all time, yet he was never crowned World Champion. Statistics can often not be a good indicator of quality and so it is that sometimes, a great single never actually attained the sales recognition it deserved. This could have been due to timing, lack of interest from a fickle music buying public or even a saturated market. While some of these lost singles do get forgotten, many become live standards and firm fan favourites. 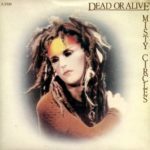 So here are 25 singles from predominantly established acts, or collectives featuring figures who are now well known in the music scene, that did not reach the UK Top 40 Singles Chart. Due to the sheer numbers of songs that are eligible, a cut-off point has been made for when CD singles started to become the norm around 1990. 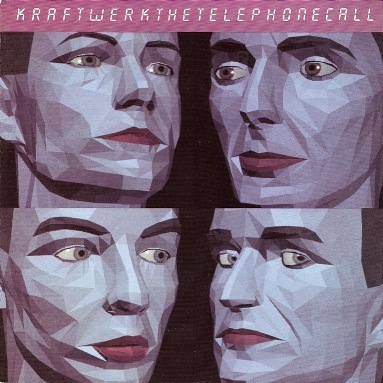 It seems unbelievable now that this extremely catchy single failed to be a big hit in an era when synthesizers were being accepted by the wider record buying public. After all, both SPARKS and TUBEWAY ARMY had entered the Top 20 with their Moog assisted ditties. In hindsight though, Colin Thurston’s production did sound comparatively thin next to ‘The Number One Song in Heaven’ and ‘Are Friends Electric?’. 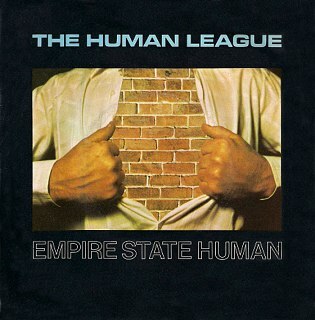 Despite a timely re-release in 1980, ‘Empire State Human’ only reached a high of No62. THE CHAMELEONS (not to be confused with the cult Manchester band) were actually Zoo Records supremos Bill Drummond of THE KLF fame and country house resident Dave Balfe who played keyboards with THE TEARDROP EXPLODES. 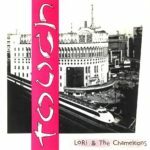 On the beautifully sequenced ‘Touch’, art school student Lori Lartey innocently told of her holiday romance in Tokyo. It spent one week at No70 when re-issued on Sire Records. There was to be just one more single entitled ‘The Lonely Spy’. After three albums with Ariola Hansa, JAPAN decamped to Virgin Records and reached No60 with ‘Gentlemen Take Polaroids’, their first single release on the label. This should have been considered a promising success, but much more was expected as the band were already playing huge venues such as The Bukodan in Tokyo. 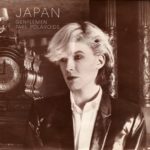 It would not be until Autumn 1981 following a cash-in release of ‘Quiet Life’ by their former label that David Sylvian and Co. were to become regular singles chart fixtures. The suave Mr Palmer took an interest in synths having become a fan of GARY NUMAN and JAPAN. 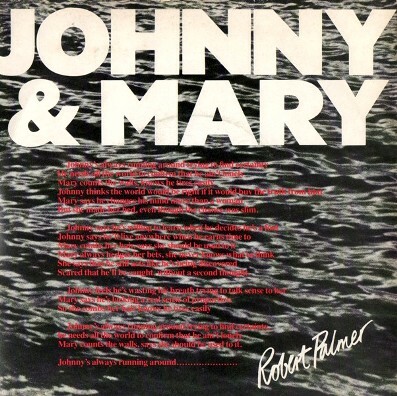 ‘Johnny & Mary’ was a beautifully world weary number that hit a high of No44. 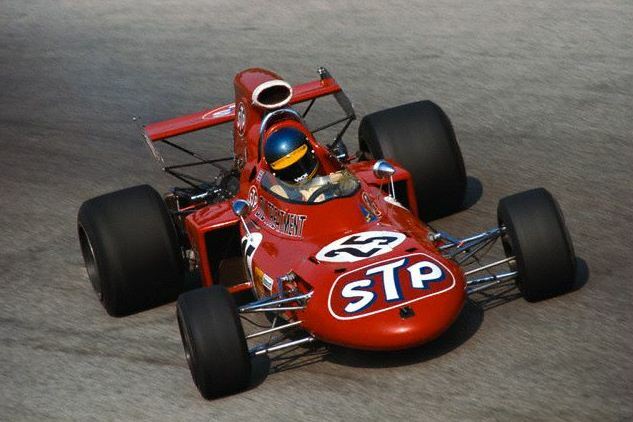 Palmer was to later have massive success with a more rock flavoured sound while his bank balance was enhanced when ‘Johnny & Mary’ was covered for the ‘Papa et Nicole’ Renault adverts. Bryan Ferry’s reinterpretation with Todd Terje exposed a twilight years scrutiny on the lyrics which sadly, Palmer himself was never able to do…. Things were heading in the right direction for the Mk2 line-up of ULTRAVOX following ‘Sleepwalk’ getting to No29 in the UK chart. Built around a more synth rock structure, ‘Passing Strangers’ had the makings of a bigger hit with a great chorus and a sympathetic environment in which THE HUMAN LEAGUE and DEPECHE MODE were also managing to break through. 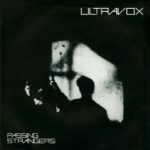 But the single stiffed at No57 and it would take the massive surprise success of ‘Vienna’ in early 1981 to truly establish ULTRAVOX as a chart force. 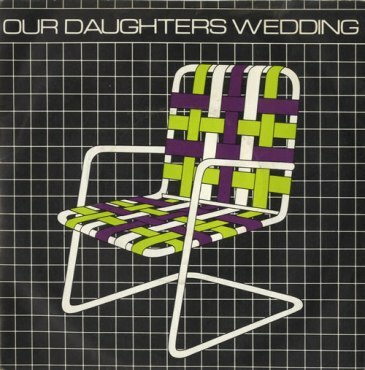 New York trio OUR DAUGHTER’S WEDDING were one of the new synthpop acts to emerge following Synth Britannia from across the Atlantic and their best known song ‘Lawnchairs’ was a frantic mechanised combination of OMD and GARY NUMAN. Despite gaining regular radio play in the UK, its chart summit was No49. The trio later re-recorded ‘Lawnchairs’ with a more conventional live drum sound, but this template totally took the charm out of the song! Produced by Daniel Miller, ‘Memorabilia’ borrowed heavily from CERRONE’s ‘Supernature’ and the funky overtures of James Brown. Released as a 12 inch single in March 1981 but relegated to B-side status on the edited 7 inch format where ‘A Man Could Get Lost’ was the A-side, Almond recalled a list of trashy souvenirs over a linear dance track that were also metaphors for stalking. Dark yet danceable, despite not being a hit, ‘Memorabilia’ would later become citied as an influential proto-house classic. 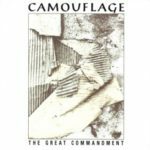 If Ian Curtis had joined TALKING HEADS, then it might have sounded like this. “On reflection, I always thought it was more David Byrne than Ian Curtis but, there was never any intention” recalled Neil Arthur in 2013, “We hired a Roland Jupiter 8, an ARP sequencer and a Korg MS20 plus a Linn LM-1 which Stephen Luscombe and I programmed up” . Reaching No46, ‘Feel Me’ always had untapped hit potential as FAITHLESS’ reworking using Arthur’s vocals proved. 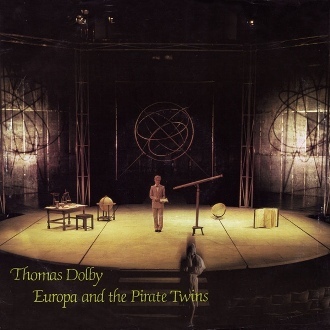 With its thundering Simmons drums and glistening synth riff, ‘Europa & The Pirate Twins’ was based on a real life romance of Dolby’s: “I had a girlfriend and we used to fantasise that after the apocalypse, wherever we were, we would meet up on this beach in East Anglia where I grew up… I always thought she’d end up being this big movie star or something”. 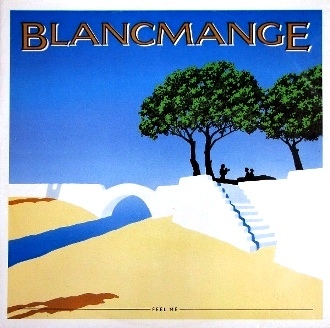 Alas the single was not a Top40 hit, but the song entered the wider consciousness when its intro was used as the theme to BBC Radio1 show ‘Saturday Live’. Glenn Gregory and Martyn Ware often cite ‘Let Me Go’ as their favourite HEAVEN 17 song. 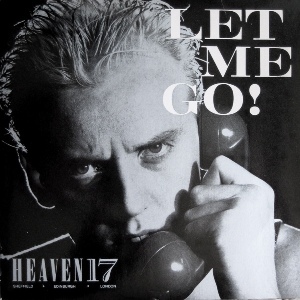 Propelled by a funky Roland TB303 Bassline in the days before it was hijacked by Acid House, ‘Let Me Go’ had hit written all over it, but stalled at No41. But in a competitive Autumn ‘82 for new releases, even songs that were to become international hits like THOMAS DOLBY’s ‘She Blinded Me With Science’ and EURYTHMICS’ ‘Love Is A Stranger’ (on its initial release) were having difficulties getting into the Top40 as well. 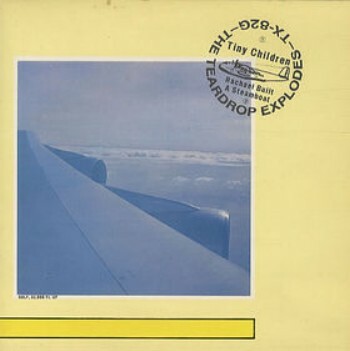 Trip-poppers TX may not have been a synthesizer driven group as such, but this marvellously haunting ballad was layered in Prophet5 courtesy of Dave Balfe while Julian Cope sounded like a distressed little boy, lost in his sunshine playroom. 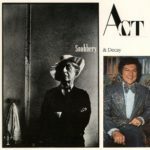 Mercury Records probably thought ‘Tiny Children’ would be a hit following the success of JAPAN’s ‘Ghosts’ but released in June 1982, the sonic chill reminiscent of Copey’s hero Scott Walker was not what people were wanted to hear as they prepared for their summer holidays! 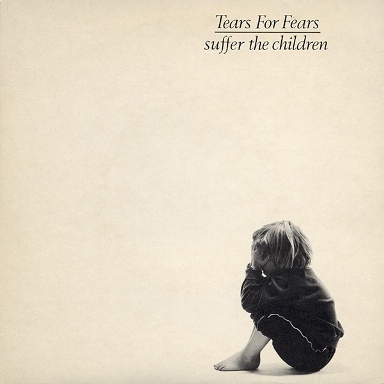 It’s now strange to think that when TEARS FOR FEARS first appeared, they were trying to emulate OMD. ‘Suffer The Children’ took inspiration from Curt Smith and Roland Orzabal de la Quintana’s interest in Primal Scream therapy while musically, it recalled McCluskey and Humphreys’ ‘Pretending To See The Future’ but with more guitar. 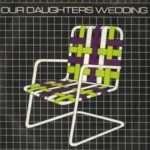 The child-like refrain by Ozabal’s wife within the bridge and coda would have actually sounded like an OMD hookline had it been played on synth. 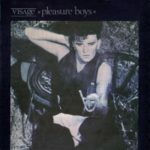 In Autumn 1982, VISAGE were in a state of limbo following the departure of Midge Ure. But with John Luongo who had remixed ‘Night Train’ on board, the remaining quartet of Steve Strange, Rusty Egan, Billy Currie and Dave Formula plus new bassist Steve Barnacle explored New York electro. ‘Pleasure Boys’ was hard and aggressive with lyrics full of hedonism. But the New Romantic audience had moved on and sales were only enough for it to get to No44. Have courted the major labels for some time, DEAD OR ALIVE finally settled on Epic Records and unleashed this vicious slice of electro gothic disco in ‘Misty Circles’ as their first single release for them. 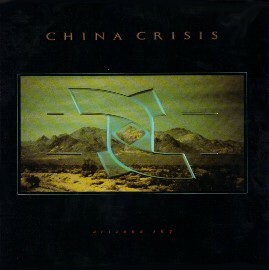 Featuring guitars from a soon to be sacked Wayne Hussey, who went on to join THE SISTERS OF MERCY and then form THE MISSION, ‘Misty Circles’ had a highly unusual sound produced by Zeus B Held that was initially far darker than the romping Hi-NRG that DEAD OR ALIVE were later to have hits with. 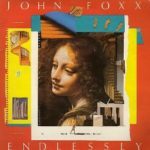 By 1983, JOHN FOXX had moved away from pure electronic music and was now listening to both SIMPLE MINDS and U2. His third solo album ‘The Golden Section’ took on a more pop oriented slant under the auspices of producer Zeus B Held ‘Endlessly’ was initially released in 1982 as a moody Linn drum heavy psychedelic romp and failed to chart. But for the new version, thundering sequencers, Simmons drums and a danced up euphoria were added… however, it still failed to be a hit. ‘Electricity’ would have been a hit had its sales not been spread over three separate releases with three different recorded versions between 1979-80. 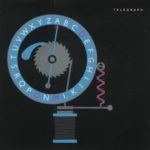 ‘Telegraph’ was Andy McCluskey’s angry metaphoric attack on religious fundamentalism in the United States, but considered to be the most commercial track on OMD’s brave but critically panned nautical adventure ‘Dazzle Ships’. 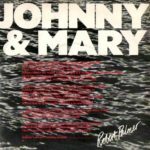 With an infectious synth melody, what was there not to like? But OMD’s audience had diminished by this time and it only got to No42. 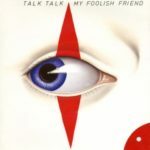 Brilliantly produced by Rhett Davies who was best known for his slick touches on ROXY MUSIC’s ‘Avalon’, ‘My Foolish Friend’ was the last TALK TALK song to feature contributions from their original keyboardist Simon Brenner. 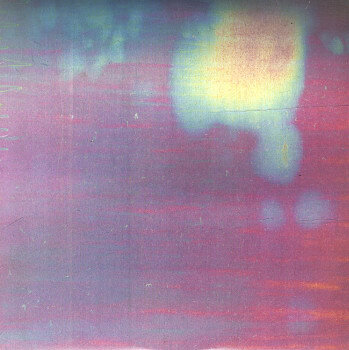 Released in the interim between ‘The Party’s Over’ and ‘It’s My Life’ albums as a single, Mark Hollis was in wonderfully miserable mode over a dramatic synthesized backdrop. The single became lost when it only reached No57 and was not included on the ‘It’s My Life’ long player. 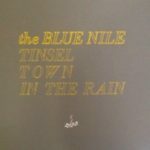 A classic song that sounded like THE PSYCHEDELIC FURS fronting OMD, ‘Tinseltown In The Rain’ is regarded as THE BLUE NILE’s signature tune. 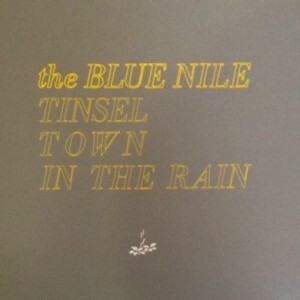 From the album ‘A Walk Across The Rooftops’ that was released as part of a deal with hi-fi manufacturer Linn Products to showcase their flagship Sondek LP12 turntable, the gorgeous melancholy of ‘Tinseltown In the Rain’ had an understated quality that ensured the trio’s sporadic releases over the next 20 years were eagerly anticipated by the musical cognoscenti. 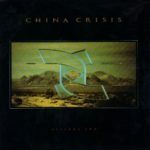 Liverpudlian combo CHINA CRISIS are probably the most under rated band of their generation. 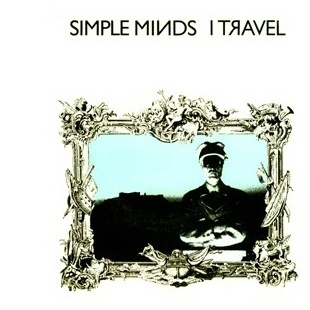 Lyrically inspired by an artificially assisted gondola ride in Venice, ‘Arizona Sky’ was one of their many singles which deserved greater recognition. The nucleus of Gary Daly and Eddie Lundon usually managed at least one hit per album but with the wonderful ‘Arizona Sky’, it was not to be. It settled at No47 despite the song’s brilliant singalong chorus, infectious synthesized textures and catchy “bop-bop-be-doo-dah” refrain. “Why are they doing a DOLLAR song?” someone was overheard at their first visit to an ERASURE concert. 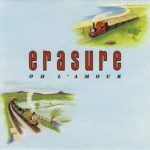 And this ultimately sums up why ‘Oh L’Amour’ should have been a massive hit. Its now highly collectable ‘Thomas The Tank Engine’ cover had to be withdrawn due to copyright infringement and wouldn’t have helped availability. However, it should be noted that the original artwork does not actually feature Thomas The Tank Engine, but two incidental characters from the Reverend W Audrey’s famous books! One of NEW ORDER’s best loved tunes, ‘Bizarre Love Triangle’ only reached No56 in the UK Chart as a single. 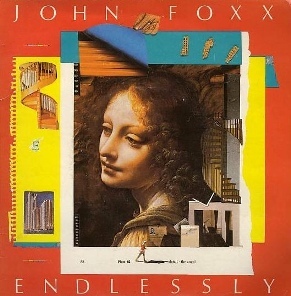 However, the version released for 45 RPM consumption was an irritating, dance enhanced remix by Shep Pettibone which took all the subtlety out of the song with its collage of overdriven percussive samples. Far better and much more commercial was an at-the-time unreleased remix by Stephen Hague which later formed the basis of the ’94 version on ‘(the best of)’ compilation. It was the height of Thatcherism and the Synclavier driven theatrics of ‘Snobbery & Decay’ were a sharp observation by Claudia Brücken and Thomas Leer on the state of the nation. However, the UK were not yet ready for an Anglophile German to tell them about its political decline… “No sadly they didn’t” remembered Claudia Brücken in Summer of 2010, “perhaps it was just not the right moment for this song… Thomas does think that perhaps we were ahead of our time”. 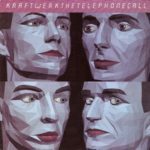 The last single featuring the classic RFWK line-up, ‘The Telephone Call’ was the most immediate track on the disappointing ‘Electric Cafe’ album. Featuring lead vocals from Karl Bartos, despite the abundance of digital synthesis and sampling, ‘The Telephone Call’ still had all the usual Kling Klang hallmarks such as pretty melodies, syncopated rhythms and slightly off-key singing to make this to ‘Electric Cafe’ what ‘Computer Love’ was to 1981’s ‘Computer World’ opus. In today’s world, DEPECHE MODE influenced acts are common place but in 1989, this was highly unusual. 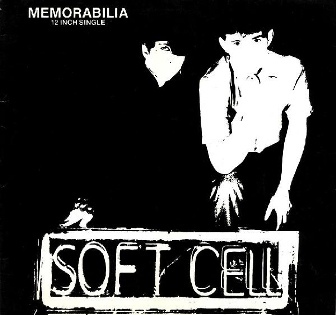 Taking ‘Some Great Reward’ as their template, CAMOUFLAGE developed on the industrial flavoured synthpop of ‘Master & Servant’ and ‘People Are People’ which the Basildon boys had all but abandoned from ‘Black Celebration’ onwards. 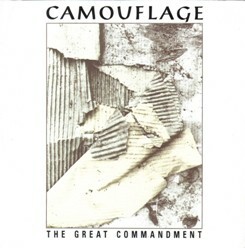 ‘The Great Commandment’ was probably the best single DM never recorded but while it was a hit in Europe and the US, it made no impression in Britain.